Back to School "PREP" Days Coming SOON! It's time to prepare for the upcoming school year! 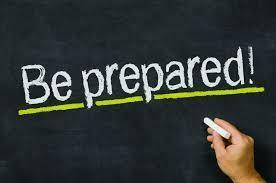 Attending a "PREP" Day is an opportunity for students to receive information about the upcoming school year, take school photos, purchase SMS Spirit Swag, and collect their class schedules and ID cards. ***This event is for working parents and for those who CANNOT make the alternative "PREP" Day, please. Students must be registered PRIOR to collecting their class schedule.